The one girl, who took the social media by storm lately by her seductive wink, became a media sensation overnight. Whats App, Twitter, Instagram and Facebook is flooded with memes of Priya Varrier and in just a day she got 606k followers, which, you won’t believe stands after the record of Kyle Jenner (806k) and Christiano Ronaldo (650k). 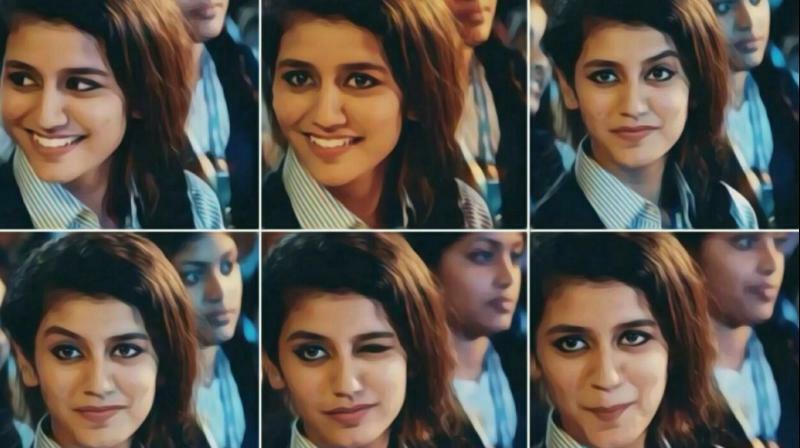 We found the girl who has taken the internet by storm by her cute and adorable expression, she is none other than Priya Prakash Varrier. 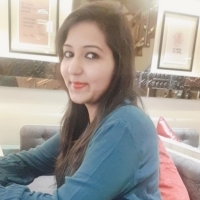 Her clip from her debuted movie, got viral in which she was seen winking to a boy and also a numerous expression which got every boy’s heart running in a minute. She has become the internet sensation in no time. 1. The debutant Priya Prakash Varrier’ who has become the internet sensation overnight after the release of a melody ‘Manikya Malaraya Poovi’, is the hot topic of the tinsel town. 2. Priya was born in Thrissur, Kerela. She is Indian by nationality. She happens to know two languages, Malayalam which is the local language of Kerela and English. 3. She is a newcomer in Malyalam movies and the song that made her popular is called ‘Manikya Malaraya Poovi’. This song is being seen in people WhatsApp status and FB pages too. 4. Priya is all of 18 and is studying BCom in Kerala’s Thissur. The video that was released in YouTube has already hit 10 million mark and she charmed hearts of many a men with just a wink. Her fan page has already crossed a million mark in Instagram. 5. She has interests in music, dancing and traveling. 6. he is titled as the new ‘expression queen’ of the nation. People have photo shopped and edited to make memes out of her pictures with people like Prime Minister Narendra Modi, Congress President Rahul Gandhi, Katrina Kaif and Virat Kohli to add up to the fun quotient. 7. pon asking how she feels about the overnight celebrity-hood, Priya candidly replied, “I am very happy, I don’t know how to handle so much love. It’s completely surreal’. 8. the song also brought along some adversities for the director Omar Lulu as an FIR has been launched against his name for the lyrics of the song. The complainants are, Zaheer Ali Khan and Muqueed Khan, both residents of Falaknuma of Hyderabad. 9. she has already become a star overnight, it looks like really a challenge for her to live up to the audience expectation near future. 10. Her debuted film, Oru Adaar Love is going to release on 3rd March 2018. The movie is directed by Omar Lulu.